Just like Free Radical (FR), ROS (Reactive Oxygen Species) have long been considered as bad players that need to be eliminated to maintain a good balance between respiration and cell structure degradation. It is now widely recognized that ROS and FR are part of complex signaling pathways, involved in many disease states such as diabetes, cancer, atherosclerosis, etc. They are also very important in plant physiology, making ROS and FR studying tools very attractive. 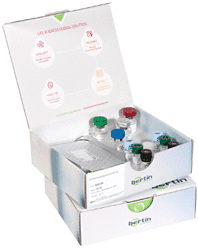 Bertin provides tools including kits for scavenger and detoxifying enzymes or oxydized cell components, antibodies, and fluorescent dyes, that can be use on the InCellis Cell Imager.